An Inflatable Crocodile including a large green inflatable Crocodile – Ideal for a Hawaiian theme, a Beach party, or any fancy dress occasion! Never smile at a crocodile, unless it’s this fantastic Inflatable Crocodile accessory. This brilliant Inflatable Crocodile comes complete including a large green inflatable Crocodile. 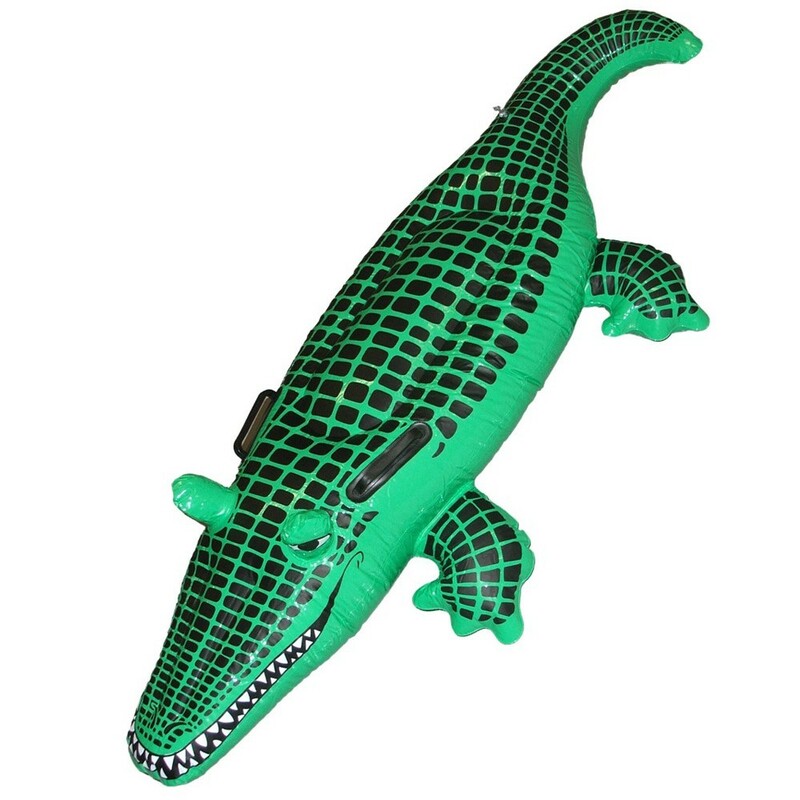 This large green Crocodile is easy to inflate with air, and features a contrasting dark green scale design. This Inflatable Crocodile accessory measures approximately 140cm in length, and will be sure to impress no matter what the occasion! Perfect for a Hawaiian theme, a Beach theme, an Animal theme, or any fancy dress occasion, this Inflatable Crocodile will be sure to add the perfect finishing touch to your Party! So party in style with this amazing Inflatable Crocodile.